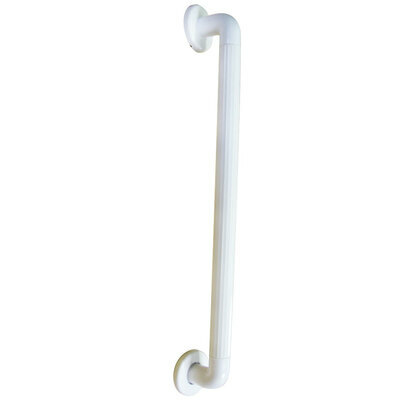 Designed for use in busy care and residential homes, this Plastic Grab Rail is an added safety tool to your resources. When used in conjunction with our other grab rail system, it allows you to customise your level of support in any bathroom, bedroom or hallway. Manufactured from a hard-wearing ABS plastic, it has internal metal for reinforcement and offering reliable strength. They are finished with a ridged grip for added security and have a smooth surface that is easy to wipe clean within your infection control regime. We also stock this grab rail in a 400mm and 500m to suit all needs. Alongside these, we have a range of wheelchairs, commodes and bathroom equipment in our Care Home Equipment section.